Aravind S belongs to the 2015 batch of CEC, and one of the brightest students of the batch. He’s secured admission at IIT Madras for his post graduate studies – MS by research, which begins today, the 14th of July, 2016. Aravind talks to CEC blog about his journey and gives insights to IIT admission. I am writing this combining my experiences and some of my conclusions as of now, which may help juniors. I would like to start by thanking College of Engineering Chengannur, my teachers and friends. My college life started off similar to my school days where I sincerely tried to study. Being an introvert, I had less contacts with seniors and I should say I wasted a considerable amount of time. From year 3, I started trying to do something different. I wished to have more contacts, wanted to be active in IEEE and moreover do something which could make me confident. Frankly, it was not so easy to be a significant part of IEEE as most of my batchmates were already experienced volunteers and being one among them was not easy. Still I started working in IEEE as a fresher and that helped me gain some confidence. I had ample opportunities to volunteer by year 4 which really backed me with confidence and self belief. Yes, confidence is the key to success. That helped me crack most of the IT firm interviews and finally joined Tata Consultancy Services, where I worked for a short term. In fact, I would describe my life in TCS as the best part of my life where I learnt a lot in a short period of time. Being good in my work boosted my confidence. Still, I had my gate preparation in mind, which I never actually started. Realizing that its hard to carry on work and studies together, I left the company. I joined Ace Engineering Academy for a 2 month batch and it was really hard since time was too less. In fact, there were a lot of challenges like 12-14 hr classes per day to fighting with my mind which felt guilty of leaving my job and going for something which is hard to achieve in a short span. Eventually, I am happy to have what I got amidst the challenges. Coming to the importance of CEC, the main part is the rich set of Alumni whom you can find in almost every top level organization and well performing startups. Assume you are preparing to join your dream organization; Yes a Cecian is there to mentor you and this makes my alma mater one of the best. Next is the vibrant IEEE Student Branch, argueably the best in Kerala, giving ample opportunities to a students to meet the industry, get a feel of professionalism and lots more. Alongside, I have a humble request for my juniors to not keep aside their academics for extra activities. Striking the right balance between the two is most important. I have a strong opinion that along with organizing events, every enthusiastic student should try publishing papers in international conferences or journals which could give you immense academic and career boost. Next I would like to share something about MS by Research, as of my current knowledge. MS programs, being offered in the IITs is equivalent to M Tech for all purposes according to AICTE. M Tech program could be considered similar to B. Tech where there are a fixed number of courses (10-12) in the first year followed by a project in the second year. The duration is fixed as two years. On the other hand, MS programs require students to take atleast 6-7 courses as prescribed by the advisor/guide under whom we work in the initial semesters, followed by research in the upcoming semesters. The duration is flexible which may be 2 to 3 years, depending upon the guide, area of research etc. The students are expected to have 1 or 2 publications in reputed conferences/journals to be awarded the degree. M Tech( Research Assistantship) in some IITs is a 3 year program similar to MS where the number of courses taken is as per the policies of the corresponding institution. Again, considering the placements, opportunities for MS students is same as Mtech. Companies usually do not differentiate between the programs for selection. If you are good, you will be taken. In addition, MS students may have an edge when it comes to R&D jobs. Nowadays, every top level company have an R&D Department. Moreover, MS students is said to get fully funded pass to international conferences, of which I don’t have a clear idea right now. I can update in the coming months. Many a times, most of the students find it hard to choose between M.Tech and MS/M.Tech(RA) as they do not have exact idea about their research interests. This is normal and almost everyone may face such a decision problem. If you really know what you want and have your research interests fixed, then MS program may be ideal for you. If you have a doubt in mind, if you have an option between Mtech and MS, may be its better to choose Mtech because of its fixed duration and less risk. If the choice is between MS in the best institution vs Mtech in a bit lower ranked institute, go for MS. Haha, yes!, finally its all upon the priorities of the individual. The semester wise intake of MS is only 16 to 20 atleast in case of Computer Science in each IIT. This may be different for other branches as number of specializations are more. In most IITs, the admission to MS programs happens in both odd and even semesters. Initial screening using gate score and Btech aggregate percentage (Some IITs also accept scores of other nationwide entrance scores like JEST). The cutoff for initial screening using Gate Score could be anywhere between 600-750, with 740 being a safe score. Infact, the cutoff depends upon the number of applicants applying for the program and their scores. The Btech aggregate cutoff is generally 70% which could be even up to 80% as it happened in the case of IIT Hyderabad. Those shortlisted by Gate Score may be called for a Written Test, of which syllabus is similar to that of Gate. The required number of candidates will be shortlisted for an interview. Some IITs have even mentioned about programming tests if the number of candidates is more. Finally, the candidate is allowed to choose 1 or 2 from the core subjects of the corresponding engineering branch. Usually these are subjects from Gate Syllabus. The interview panel consists of set of professors specialized in different areas asking questions only from your subject choice. So, It is important to have in and out knowledge of one or two subjects. Personal questions weren’t asked in case of IIT Madras. So with this, I am signing off now. Wishing my juniors all success in the future and feel free to contact me for any kind of help or guidance. I am sure I will be able to elaborate more on the program in the coming years. 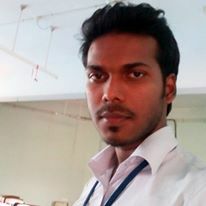 This entry was posted in 2015 Batch, Alumni or ARC (Alumni Relations Cell), College of Engineering Chengannur, Higher Studies and tagged Aravind, Aravind Sunil, CHENNAI, GATE, Higher Studies, IIT Madras, IITM, Madras, MS, MS by Research, Mtech, Sunil. Bookmark the permalink.